In Hear This, A.V. Club writers sing the praises of songs they know well. This time around, we’re picking our favorite songs that feature s-p-e-l-l-i-n-g.
Like almost everyone else who got down with Washington, D.C., rock around the turn of the 21st century, I was a fan of Q And Not U. The Dischord band put out at least two absolutely amazing records—2000’s No Kill No Beep Beep and 2002’s Different Damage—and was consistently great live. 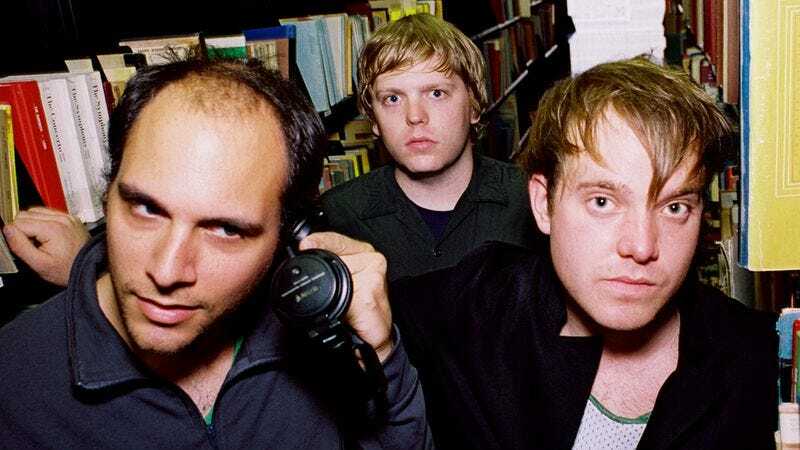 I saw them at least a few times before their 2005 demise, with the most memorable coming in 2002 at the Mid-Atlantic College Radio Conference—or MACRoCK. The conference is still around, but definitely caters to a younger audience, which is why I was so enamored of it when I was in college. I mean, Fugazi for almost nothing in a packed gym? That’s unbeatable. Anyway, I’m 99.99 percent sure Q And Not U opened for The Dismemberment Plan at one of those MACRoCK shows, and while I already knew and loved No Kill No Beep Beep, I hadn’t heard any of Different Damage. That’s why, when the band launched into “Soft Pyramids,” my mind was absolutely blown. It’s got the tom beats I adore, the melodica that, when used sparingly, is just fantastic, and I’m always a sucker for some syncopated and offbeat spelling. “Soft Pyramids” was a real barnburner then, and it’s just as compelling now. And while I’m not much for quick turnaround band reunions, if Q And Not U got back together for a couple of sweaty shows, I’d be there in a second.